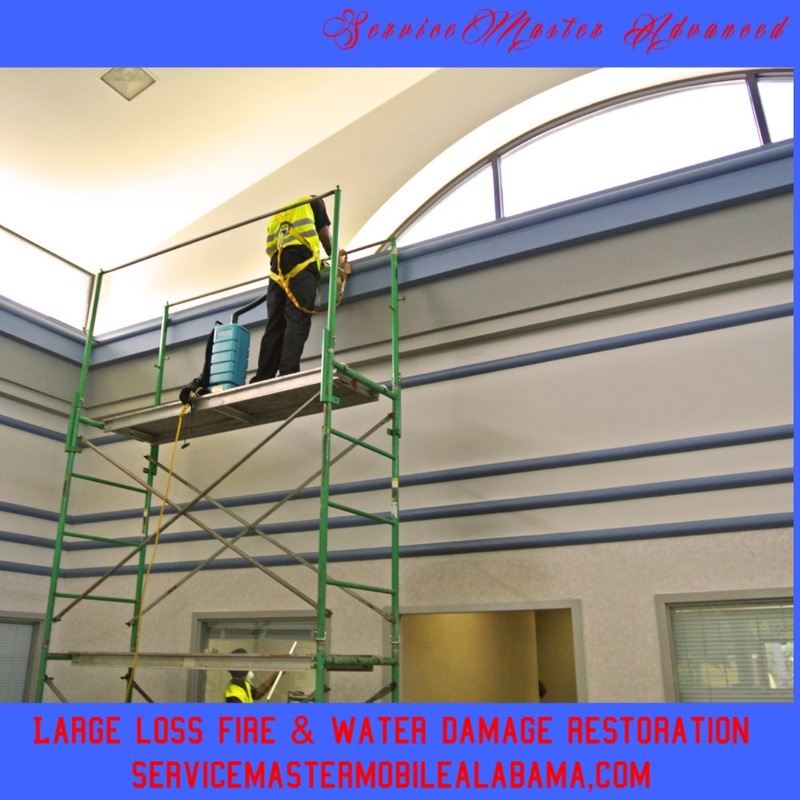 ServiceMaster brings over thirty years of detail large cleanup experience to the equation. 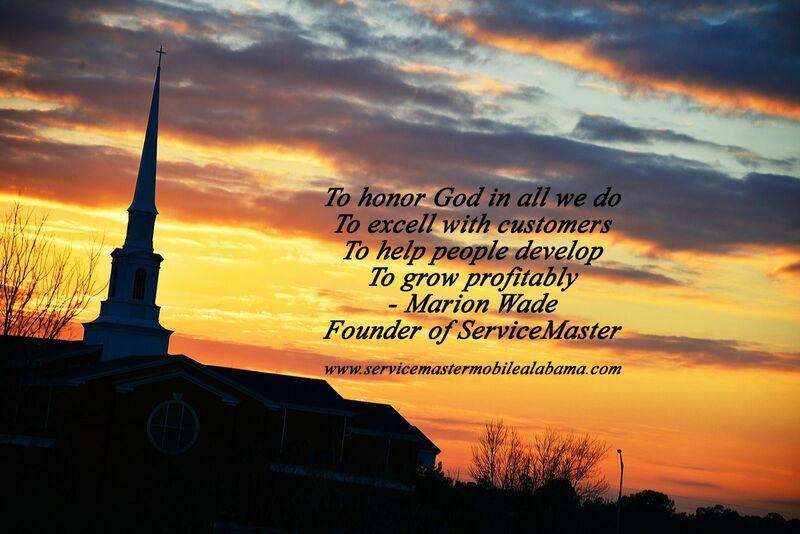 We are experts in figuring our ways to do jobs that others can't do. 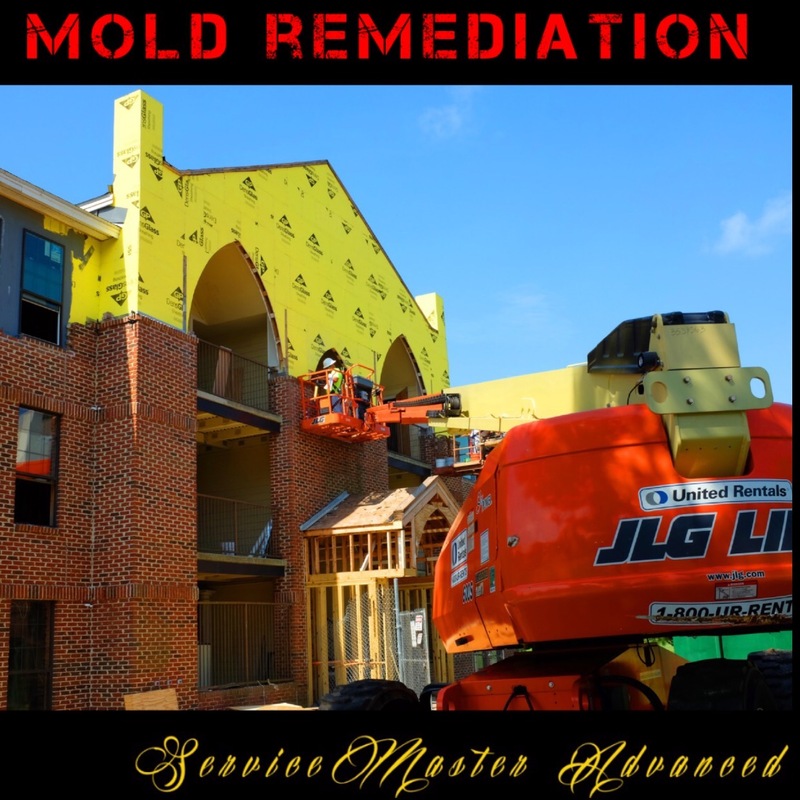 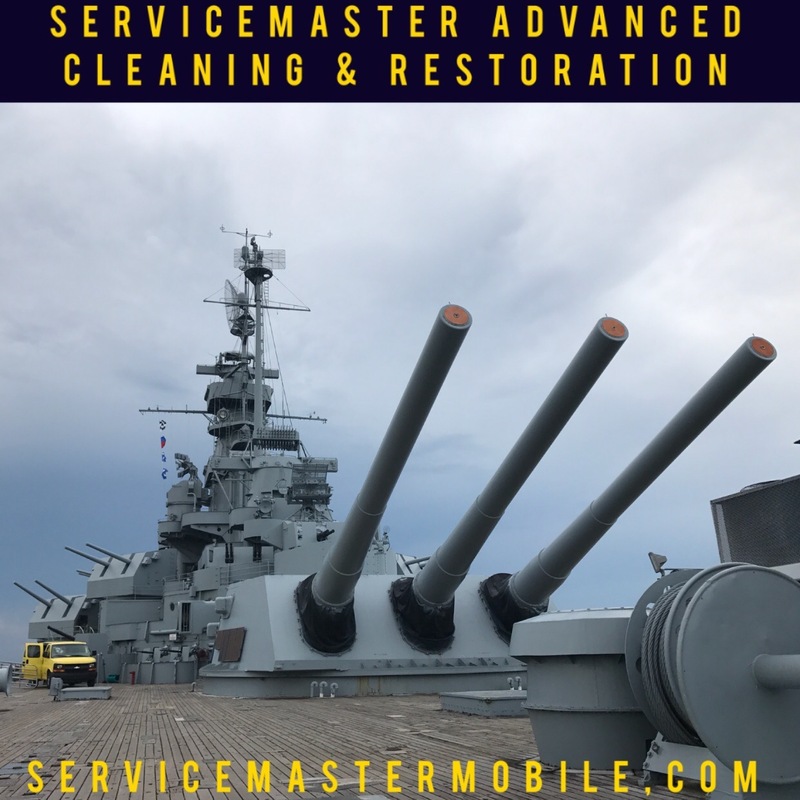 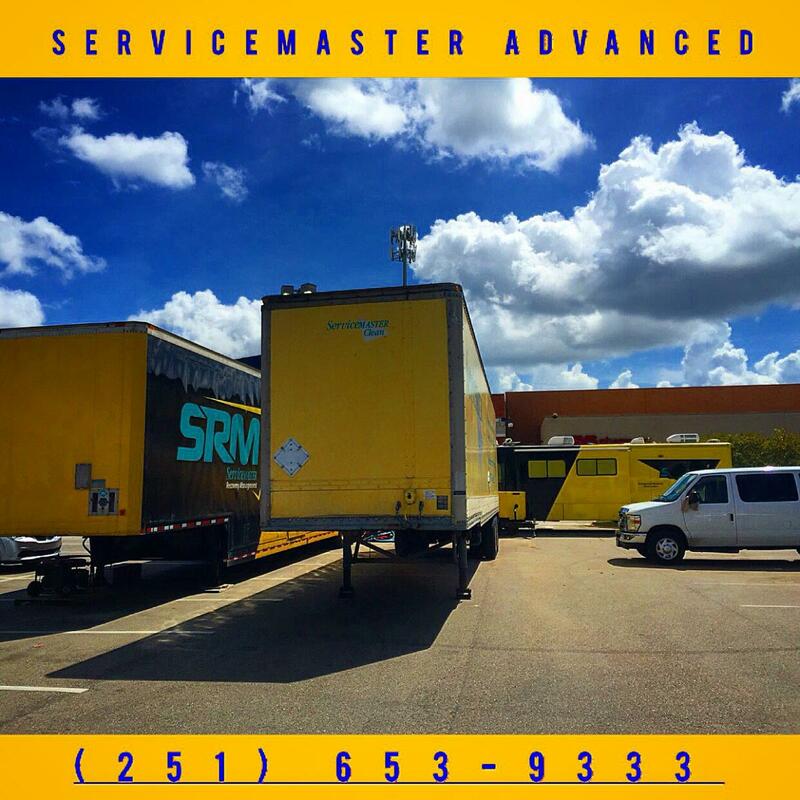 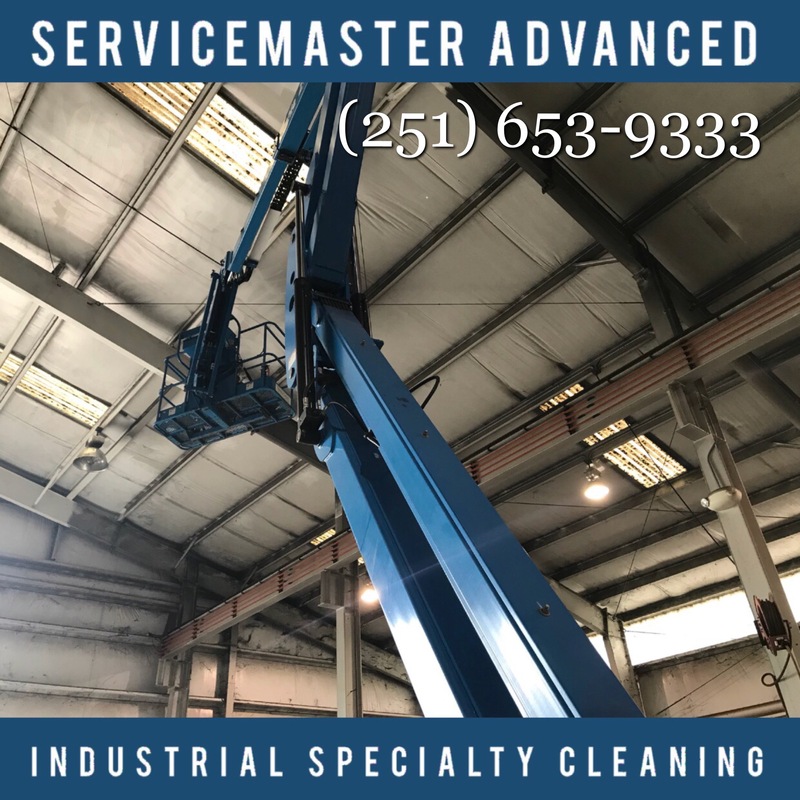 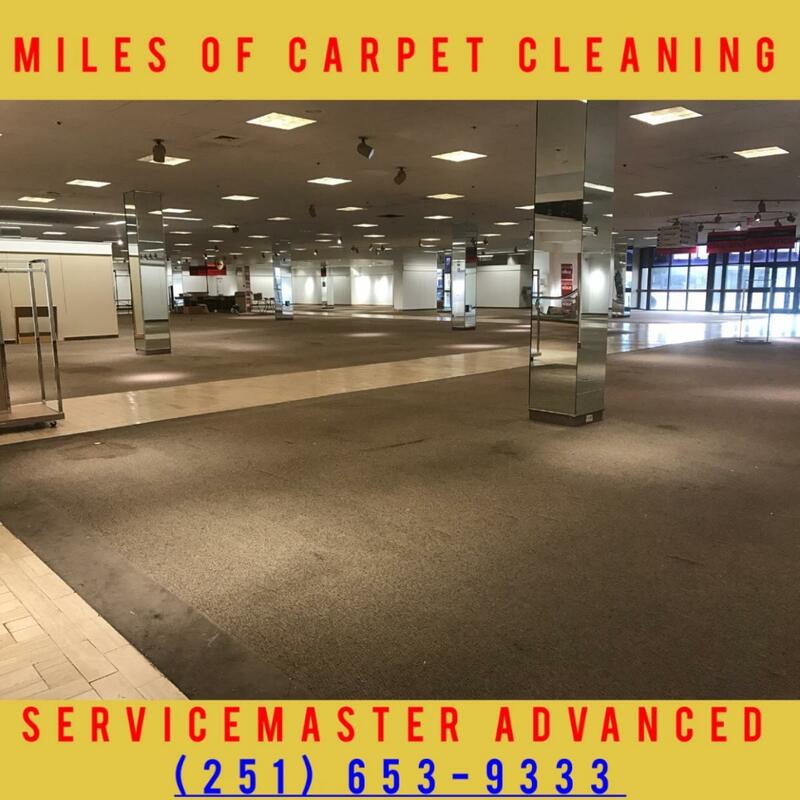 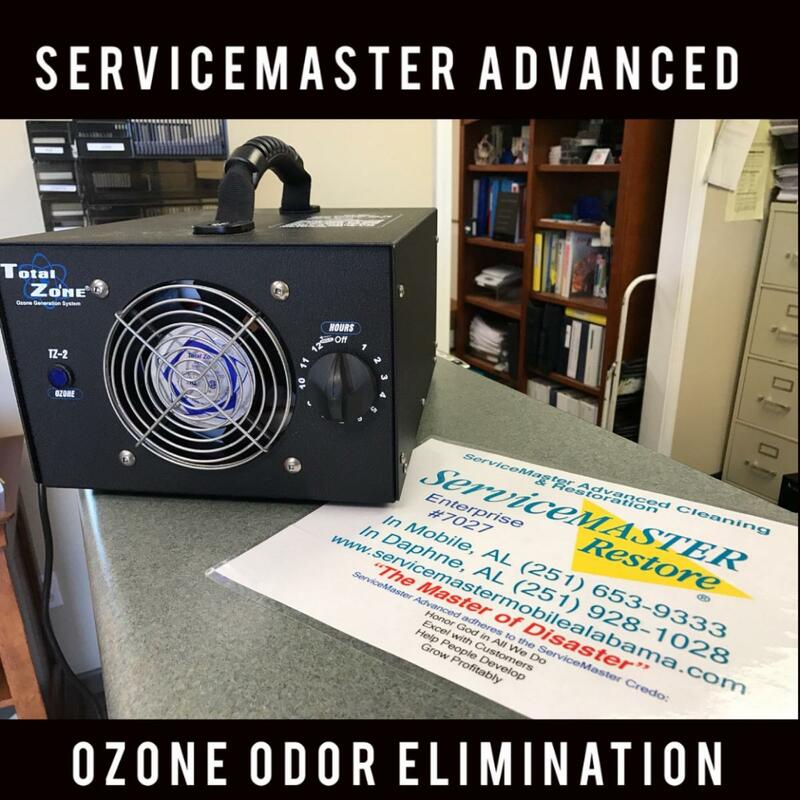 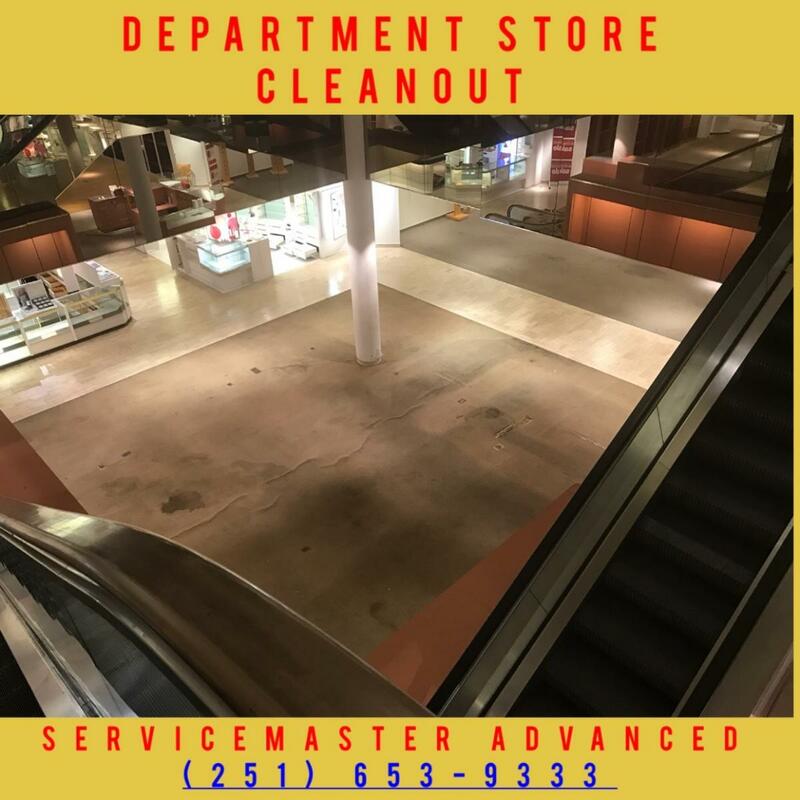 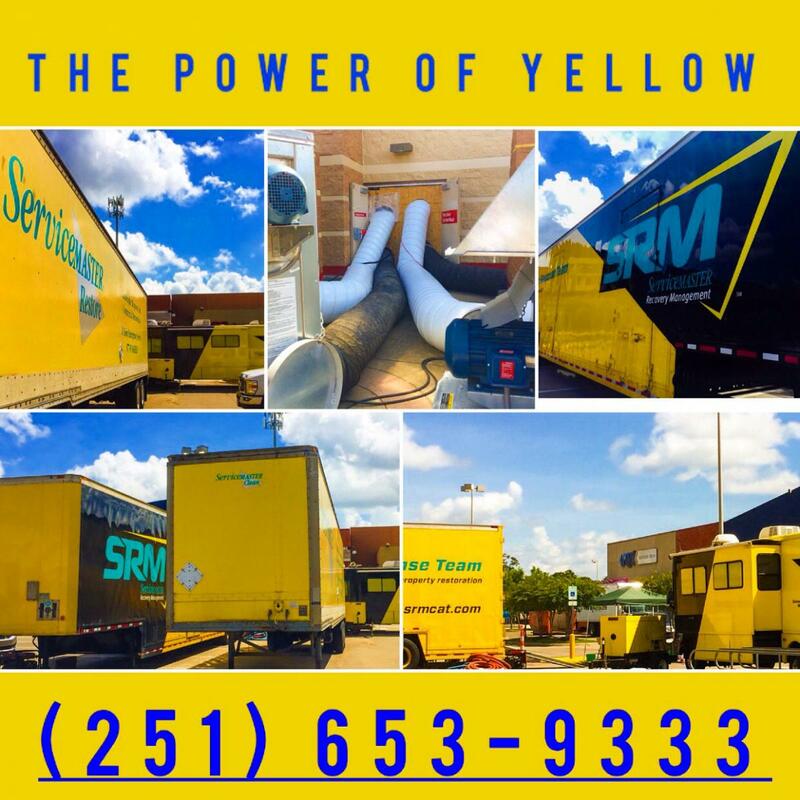 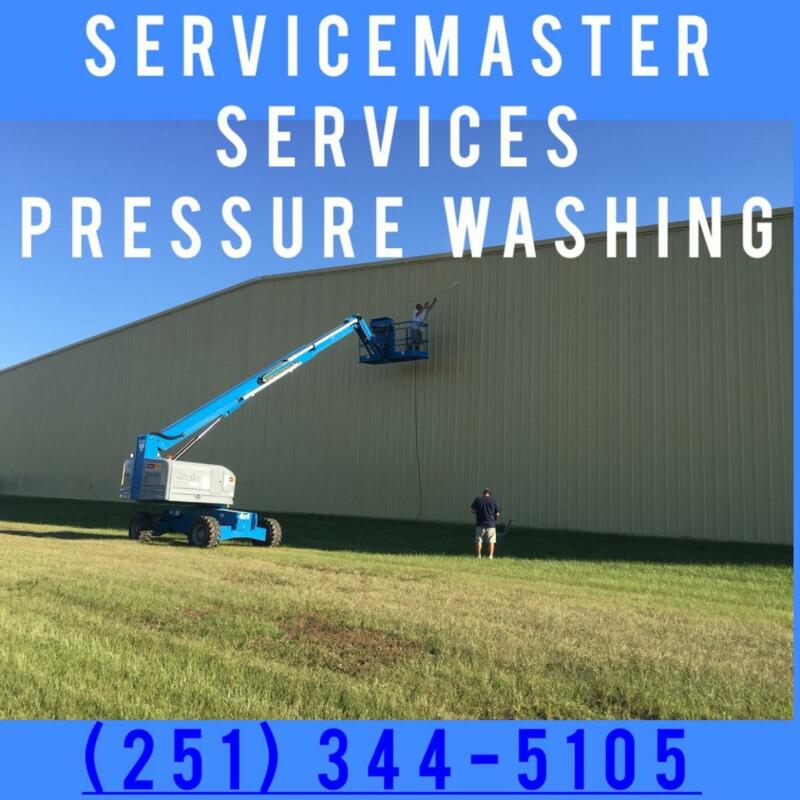 The really tough industrial cleaning & post construction jobs can easily be handled by ServiceMaster Advanced Cleaning & Restoration & our sister company ServiceMaster Services Janitorial. 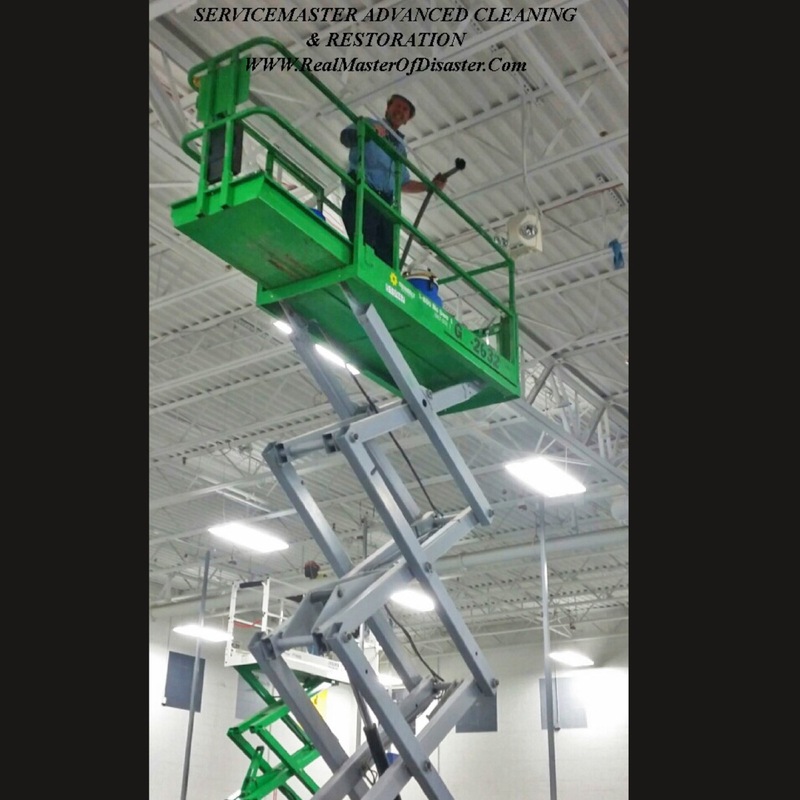 Between our two companies, we can solve a myriad of industrial cleaning challenges. 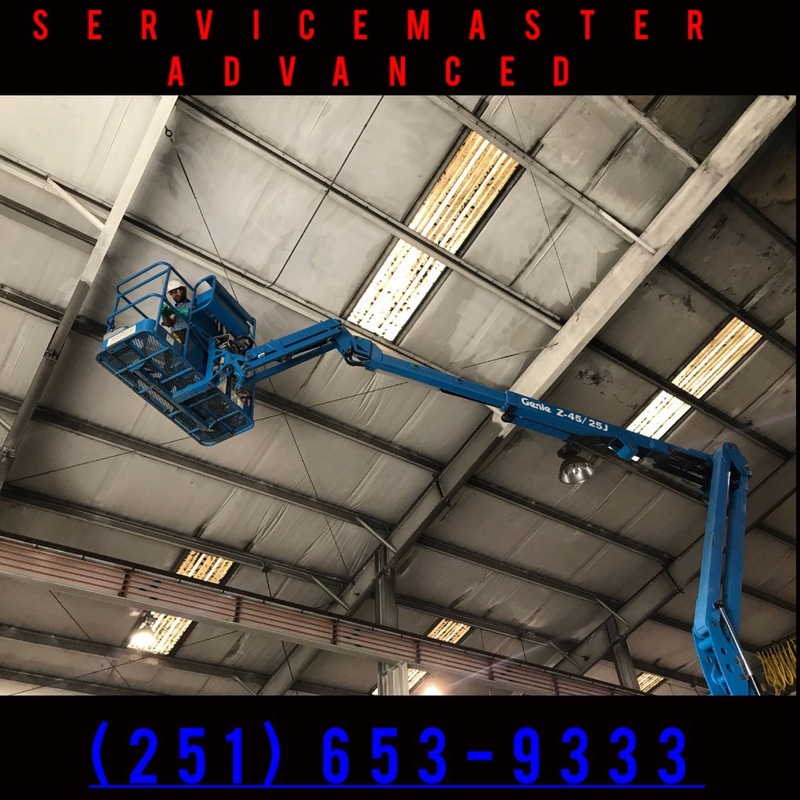 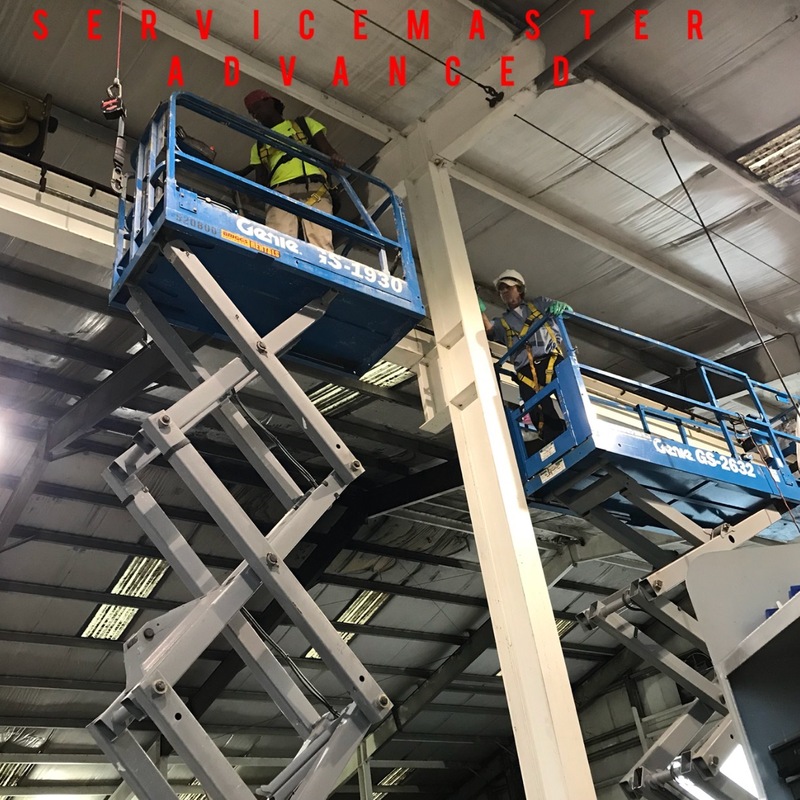 From high up warehouse deck cleaning requiring scaffolding, man lifts and scissor lifts, to detail mold remediation projects requiring containment and personnel who are suited, and fit tested for respirators; ServiceMaster has been there. 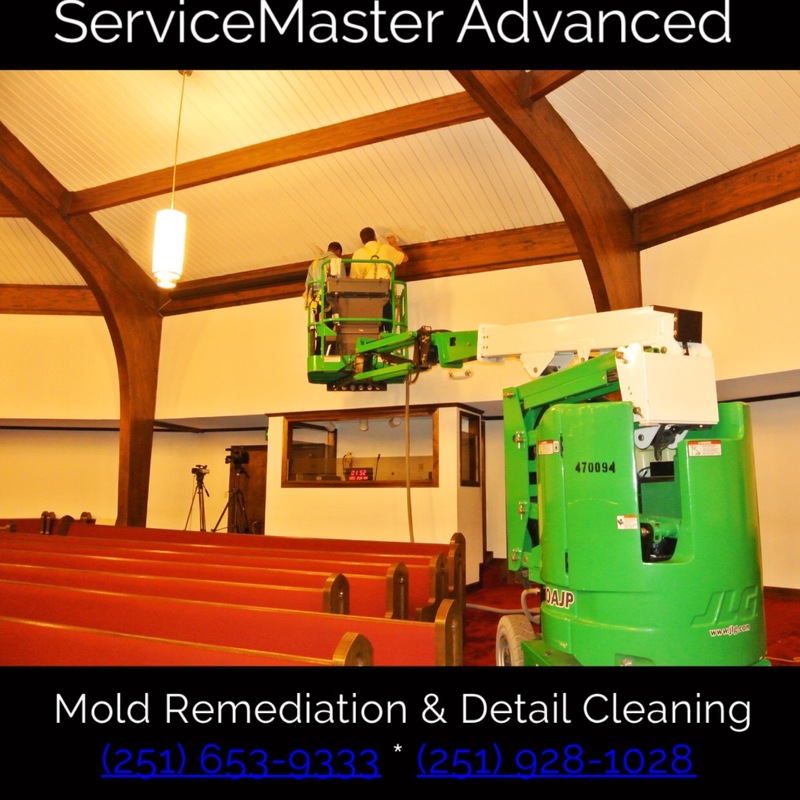 We can detail clean, remove water, and dry and dehumidify. 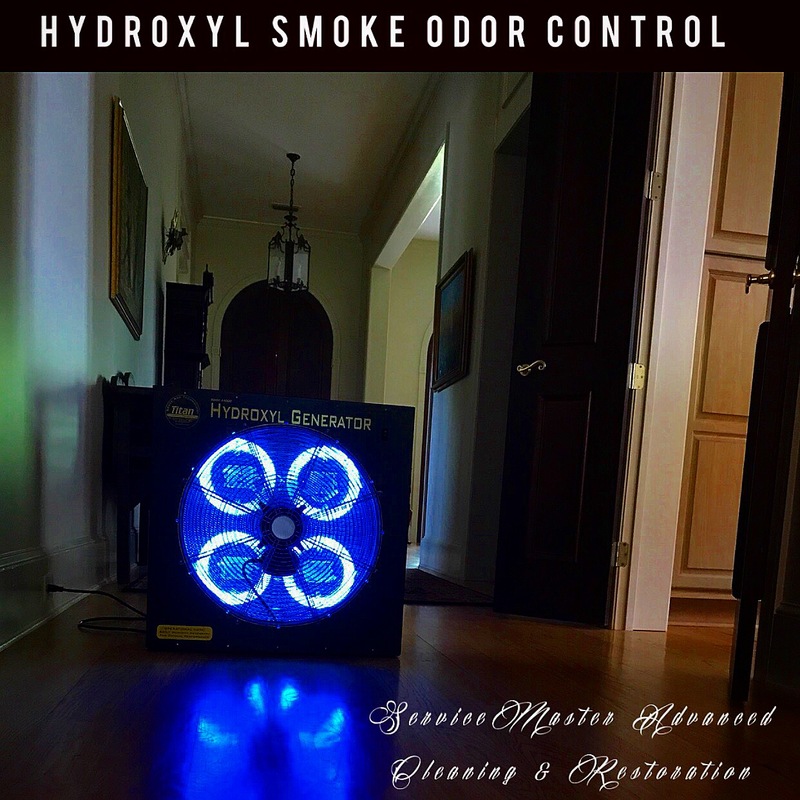 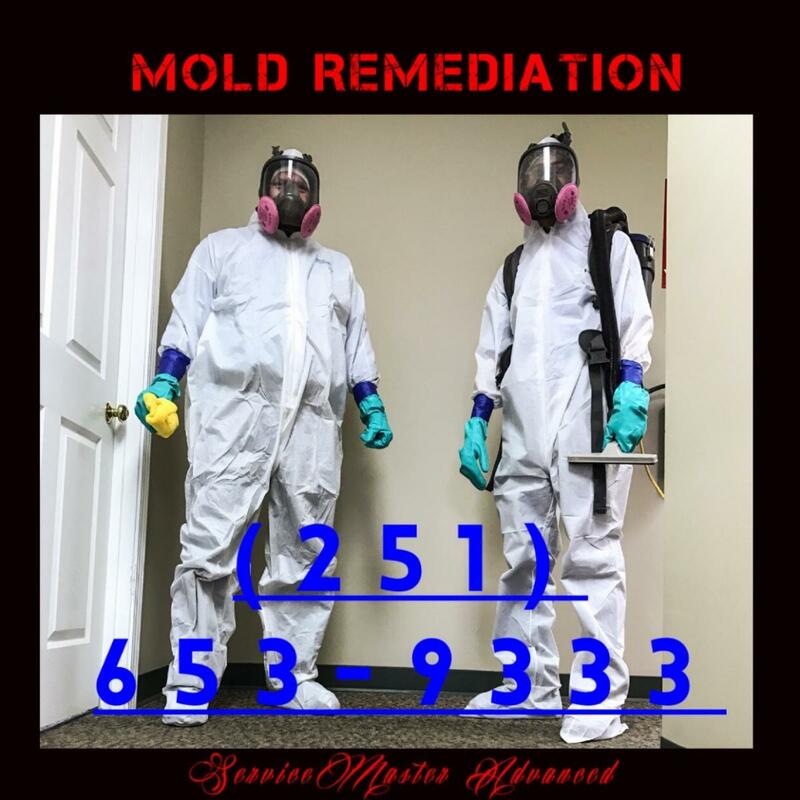 We can address mold and smoke and odor, and can clean ducts and inaccessible areas. 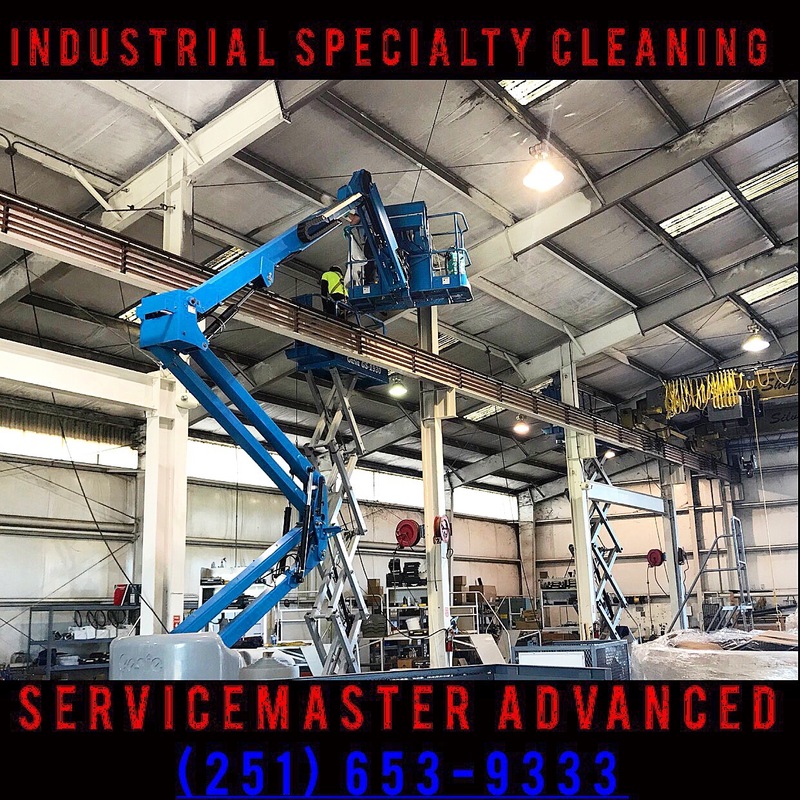 Give us your worst industrial challenges and we will work with you to find a solution. 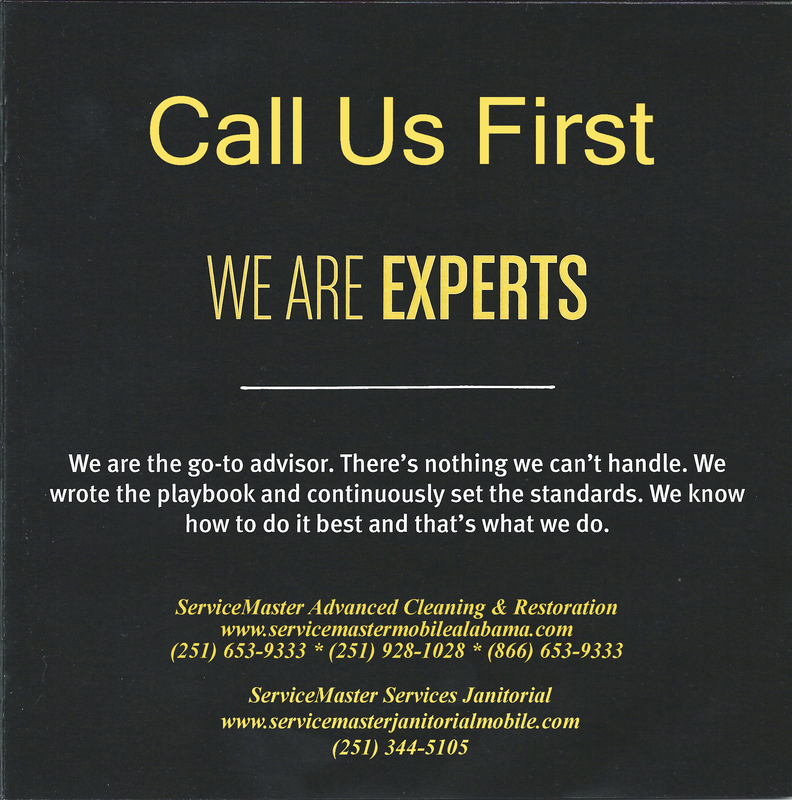 Our janitorial side has been the area's leading industrial cleaning service for over thirty years. 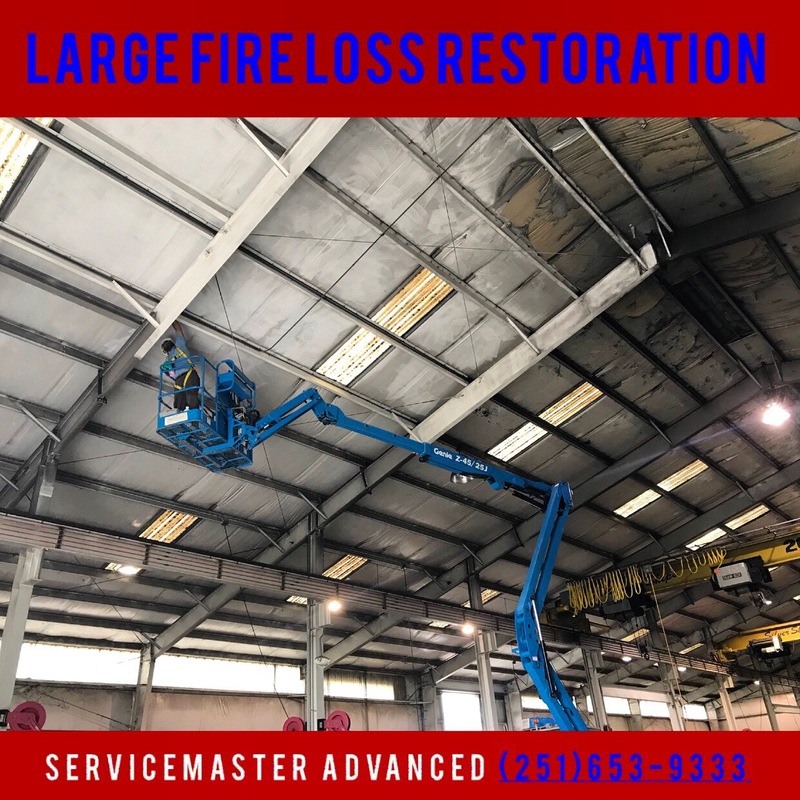 Our disaster restoration company has worked in industrial settings for over thirty years as well. 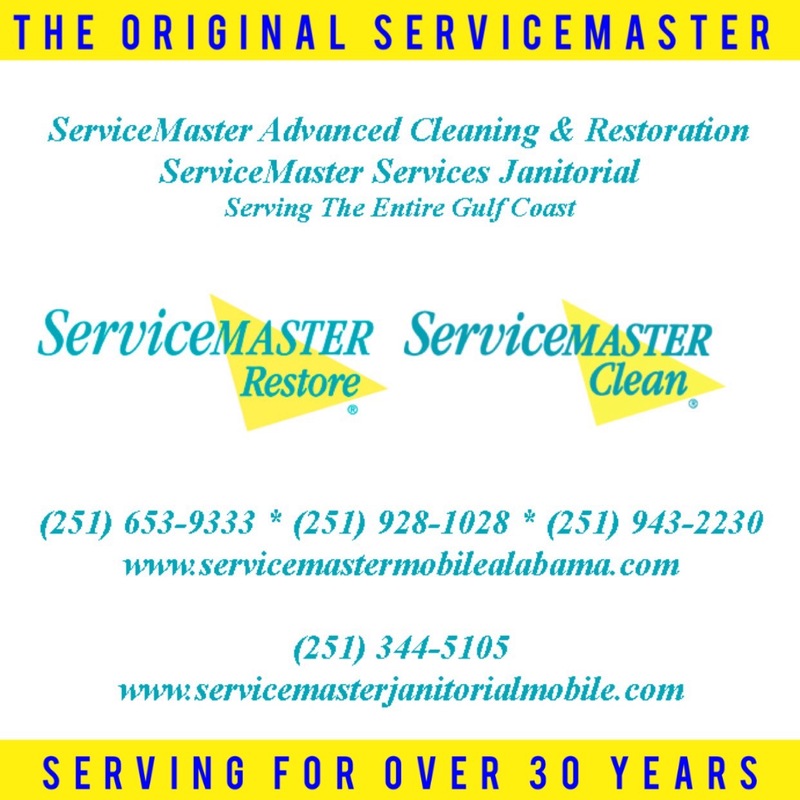 The combined services of these two entities is unparalleled along the Gulf Coast. 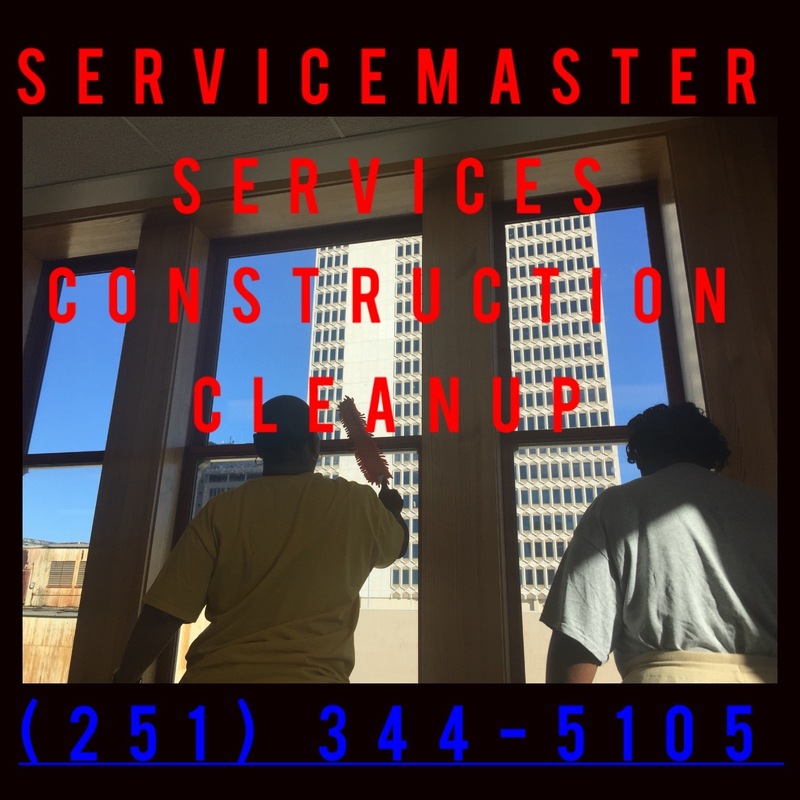 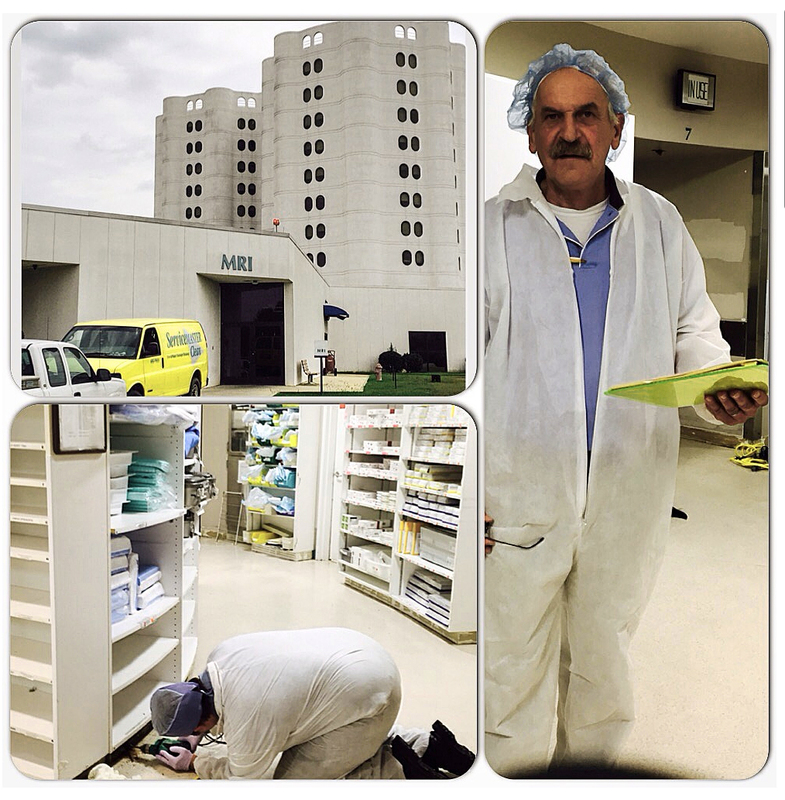 We can harness labor from over 300 janitorial employees to meet any cleanup need. 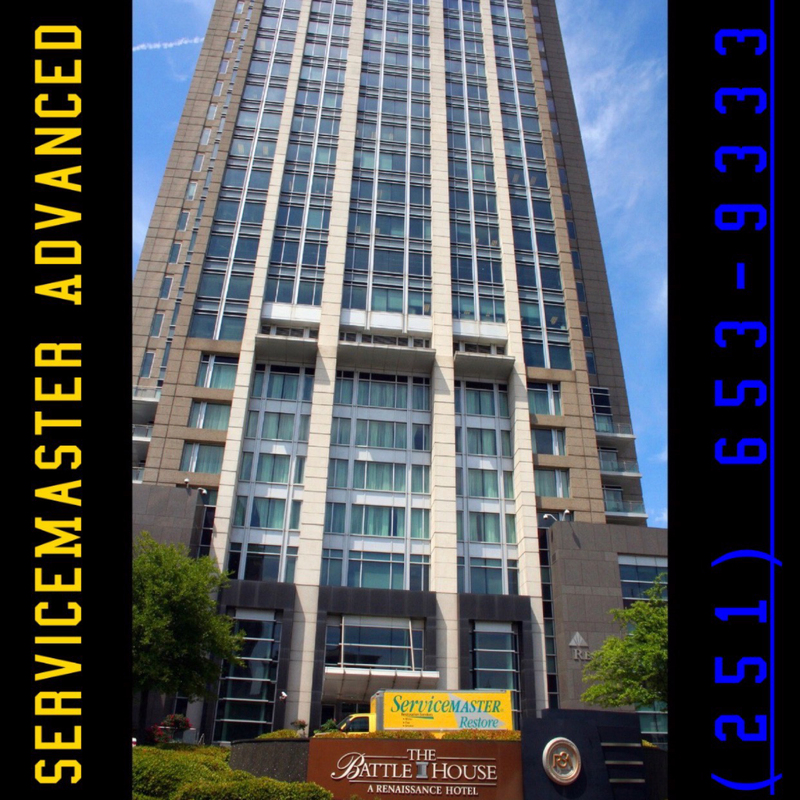 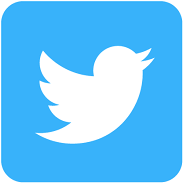 The pictures below are our pictures, and will give you an idea of our capabilities.